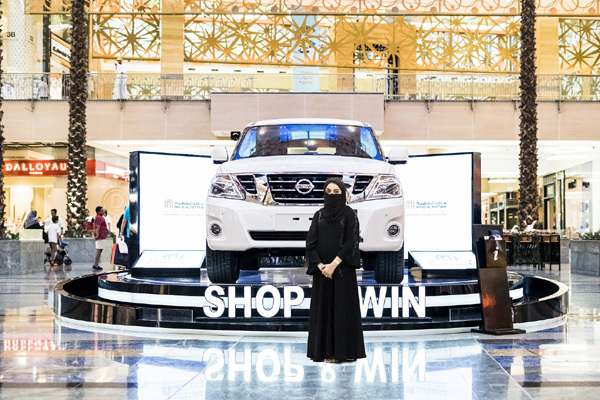 UAE national Shaikha Al Hosani was named the lucky winner of a brand-new Nissan Patrol Titanium 2018 during City Centre Mirdif's Dubai Summer Surprises campaign. Al Hosani won the powerful off-road SUV after having shopped at her favourite fashion and accessories stores at City Centre Mirdif during the festival. “I was shocked, surprised and excited when I received the call,” she said. “I visit City Centre Mirdif often, but this is the first time that I’ve won something. I immediately called my husband to share the great news. I still can’t believe it. This will now be our family car,” said the winner.